AGBU Alexander Primary School - Blog: LAZY TOWN IS NO LONGER LAZY! LAZY TOWN IS NO LONGER LAZY! 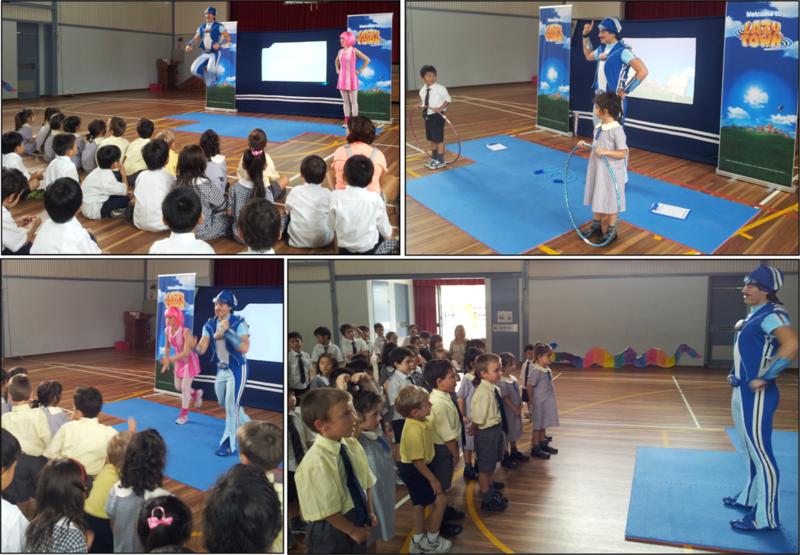 On Wednesday 12 March, students from Prep to Year 1 were invited to join a performance called the ‘Lazy Town - Eat Well & Get Active’ at the Sydney Japanese School. LazyTown captured the imagination of students as it empowered them to work towards having a healthy body, eating a balanced diet and being active. At the start of the show, things were upside down in LazyTown! Fortunately LazyTown was under the watchful eye of Sportacus, an athletic, super-fit, slightly-above-average hero, who runs, jumps, flips and flies to the rescue. He was always on the move. However, not everyone in LazyTown aspired to be like Sportacus. Robbie Rotten had the intent of keeping LazyTown… lazy! The only way Robbie Rotten could continue eating snacks and watching TV was a new and amazing scheme... to send LazyTown’s SuperHero, Sportacus, out of town – forever! Thanks to everyone’s support, Sportacus was able to defeat Robbie Rotten by motivating the kids to exercise and made sure LazyTown was no longer lazy! It was obvious that all students enjoyed the show and got involved in all the activities.